Bought my second pair after 10 years intense use. Bought my second pair after 10 years intense use. Full leather, no sweaty feet, but 100% water resistant. Strong, comfortable, versatile, all-year boot. Before buying check the boots in detail because they might have some flaws. I had to change several until I had the perfect set (I am not an easy person). After 10 years wearing my old Borneos I had to buy new ones. The inner lining was too broken down to be still comfortable. You do not need to wear them in. They are light, water-resistant, and do not sweat. They are an all-season boot. They are not too high, so they give some flex at the ankles, but not too much. They are high quality, do it almost all boots. Ten years ago when just bought I had to change two pairs because of flaws. This time happened the same. I would buy in shop and not online to be sure of a good buy. Borneos are not made in Germany. They are made in Slovakia. Best boots I have ever had. Strong, light, and versatile! Welcome to Trailspace, Douwe! Thanks for sharing a review of your Borneos. It sounds like you've gotten a lot of use out of your first pair. Do you have any pictures of either or both pairs you could show others in your review? I'd love to see some. 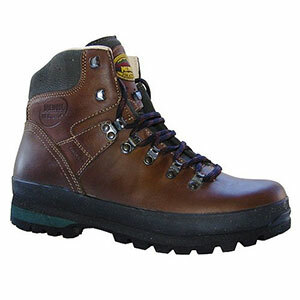 These are relatively lightweight (880 grams), all leather, versatile hiking boot that are rated "B" by Meindl, as an average surface hiking boot. I use it for day hiking and have tested it in the snows of Maine all winter. 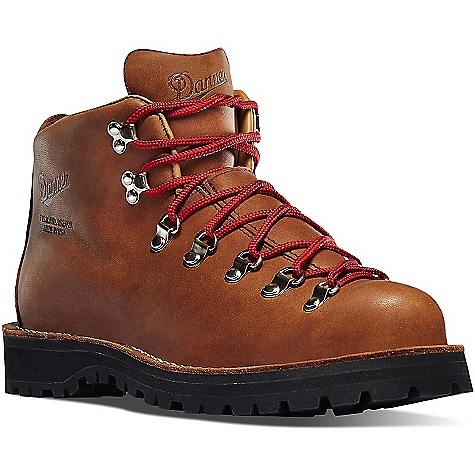 It is leather lined, not Gore-tex, which means the leather lining has been molding to my foot. The fit reminds me of a well-fit and well broken into ice skate, which, for players, feels like an extension of the foot. In the USA, I have had to mail order from Europe, but it was worth it. I use it for not just hiking but weekend walks, worn with jeans, and casual wear. I use the Meindl sport wax which polishes up nicely and is 100% waterproof. These are well made, German quality boots, that do require some break in time, but not much. I love the Ortlers, though you will need a few months break in time, yet if you are not able to wait, the Borneo 2 (update) is a great boot. No MICC. Welcome to Trailspace, Peter. Thanks for sharing your first gear review with us. I'd love to see some pics of your Borneos in your review, if you're wiling to add them. 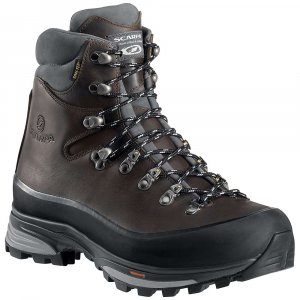 Comfortable stable hiking boot, even with a heavy pack. 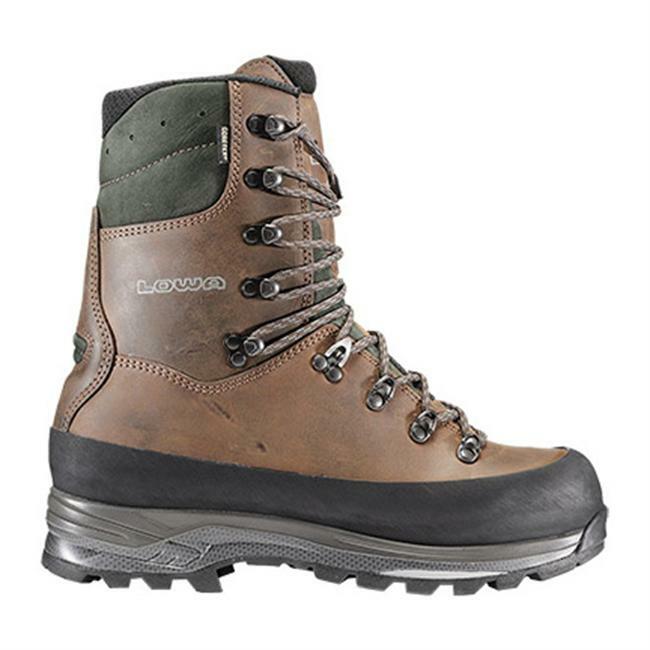 Good comfortable hiking boot for the normal to narrow foot. 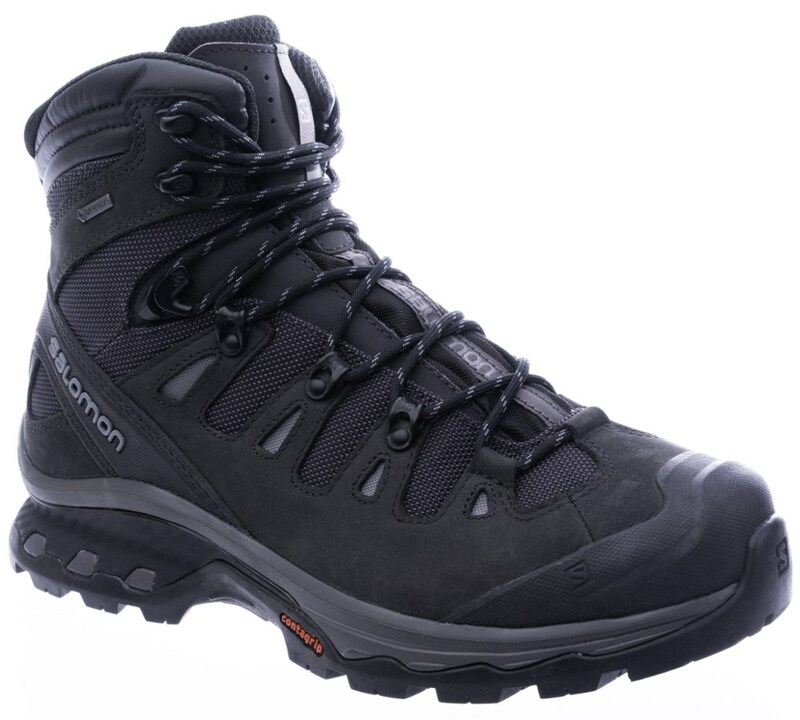 These boots are comfortable for short hikes, but become tormenting on longer hikes. Since every short hike can turn into a long hike should you get lost, this makes these boots relatively useless even on short hikes. I've been hiking quite a lot in several types of boots, but after just two days of hiking with these boots, the pain in my heels was so bad that I actually put them off and went the rest of the way barefoot, feeling much better as soon as I did so. I later bought some sandals for the rest of the way and had no further trouble. These boots may seem good at first, but once you've walked with them for long enough your achilles tendons feel like they're about to rupture if you will walk with them much longer. These boots do have a very good grip, however, so they might be good for climbing, but that's probably all they're good for. If you want good hiking boots, I think army boots are still the best. If you've owned a really good pair of trekking boots then you'll find these pretty awful on steep and sloping terrain and rock. I bought these in a hurry for a trip to Iceland as my old Garmonts had finally cracked and were no longer waterproof. They remind me of the steel capped work boots I used to wear with way too much flex in the ankle and no padding either side of the heel to keep it in one place. Also the spongey bit that moulds to the shape of your feet just makes the ball of your foot sit low where it presses down more which means you toes sit too high and end up hurting here. My feet were killing me after 2 days, they are waterproof though and better than no ankle support but dear me. 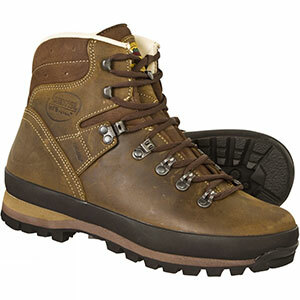 I have just bought my new boots as I plan to walk the Camino at the beginning of August. 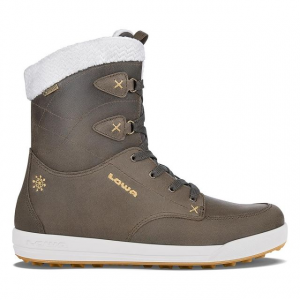 I bought a pair of ladies Meindl Borneo with memory foam at the top of the boots. I have been breaking them in over the weekend and I have developed two bruises and a lump on my leg where the top of the boots meet my leg. After years of suffering from blisters and black toenails, I decided that I was going to get a good boot, whatever the cost. After MUCH trying, I decided on the Meindl Borneo. I have now returned from a 4 day, 60km, 1500m altitude gain hike around the Fitz Roy area, and I´m happy I purchased this boot. I broke it in by wearing it in my daily routine, and eventually walking back home from school (1 hour walk). No blisters or hotspots, and it became quite comfy after 2-3 weeks. After a couple of months of casual use in town, I took it on a 2 week trip through Patagonia, with a 5 day hike period. Then it really shone: no leaking at all (I coated it with Granger´s leather paste), even during stream crossings or over heavy rain, no blisters or hotspots, and superb traction on both loose gravel and mud. It didn´t slip even on wet rocks at riverbeds. The leather lining is a gift from the gods, and I doubt I´ll get a boot without it ever again. Super cool when hot, but not overly cold when temperature drops, and excellent breathability. I tend to sweat a lot on my feet, but this boot keep them almost dry. The MFS system is also great...I was skeptical at first, but it does take on your foot shape quite fast. Overall, just two minor observations: the lacing system would cut off my blood circulation when too tight (but the fit is great so I don´t have to tighten it extremely), and, although it doesn't matter for me, it scratches pretty easily, so if you care about looks, this boot may not be for you. As a hill walker for 35 years, and a professional geologist for most of that time, I have tramped a few thousand miles -mainly in typically British (variably rocky to muddy to wet) conditions. The Meindl Borneo is the best boot I have ever had. Comfortable, supporting, durable, well-finished and with a good, wide footbed ... perfect for the 'Northern foot'. I'm about to order my third pair! Not had them long, couple of big walks in Wales and the Lakes, so far so good. Very comfey straight from the box. Very comfortable. I wore these day in day out for a year: up the Andes, the Himalayas & trekking in NZ as well as walking in cities; in extremes of hot, cold, dry & wet. Incredibly comfortable & supportive. The heel wore down a bit (a lot of concrete walking as well as softer terrain). I have wide feet and fitted me fine. Excellent fit for my narrow foot. Comfortable on or off trail, but not too good on ice. Second pair of Meindls I've owned, don't think I'll stray to another brand. A superbly comfortable boot right out of the box. Use: 3 season, hillwalking and climbing. Break-in Period: None - really. A superbly comfortable boot right out of the box. Mine have done at least 1000 miles, and are definitely more flexible than new, but still up to the roughest of terrain without making your feet sore. Good grip, wet or dry, and the tread pattern is holding out well. They let a tiny bit of water in eventually, and I get slightly cold feet on snow and ice, but they are not designed for that. An excellent boot. Never blisters at all!!! Great comfort. Break-in Period: walked out of the shop with them on! The most comfortable boot I ever had. I have worn the pair for two years almost continously I have had them resoled three times and will soon be sending them in to retirement. New ones will be bought. The Meindl Borneo is not available from the stores we monitor.